How Can I Help My Foster Children Connect with One Another? Becoming a foster parent is one of the most rewarding journeys you can embark on. The selflessness of the act speaks volumes of the people who give their time, homes, and lives. It’s important to fully understand the unique challenges associated with bringing different cultures, personalities, biological issues, and previous family environments together into one home. While the task may appear Herculean, today there are tools in place to help your children connect and build strong family bonds. As with everything else, the more you practice something, the more proficient you become at it. Making a point to do things together on a regular basis gets children in foster care more comfortable and more accustomed to the habits and mannerisms of their foster siblings. While going to the park is fun, it’s also important to connect children by involving them in activities that have a central focus and that promote team building and cooperation. Playing board games that require teams or doing a quick Google search on “outdoor team-building activities” would be a good start. Deliberately putting “togetherness” into practice is key. Baggage is real. And to deny the existence of past issues is never healthy. If one child has anger issues and experiences outbursts that disturb the other children, talk about it as a family unit. Bring everyone together and explain, “Billy is struggling with holding his temper. He’s working hard to get better, and we love him no matter what! Here are the things we can do to help Billy when he’s having a hard time …” Then lay out a family plan: What steps will be taken when Billy’s experiencing a fit? Sally might be uncomfortable with physical contact. Discussing this in a family circle will help Sally feel more comfortable and also give the rest of the family a better understanding of how to love and support Sally as they get to know her. Transparent honesty will give families the ability to connect with and love one another exactly where they are in their journey. Helping children in foster care develop and come to understand their sense of belonging within a family is a never-ending process. Nonetheless, the more that can be done to establish that this family was meant to be together for this time and in this place, the more secure the children will feel. As children develop their unique identity and find their place in the home, they will more fully connect, becoming increasingly at ease. If a family communicates and shares honestly about the needs they each have, it gives each member of the family the chance to help. 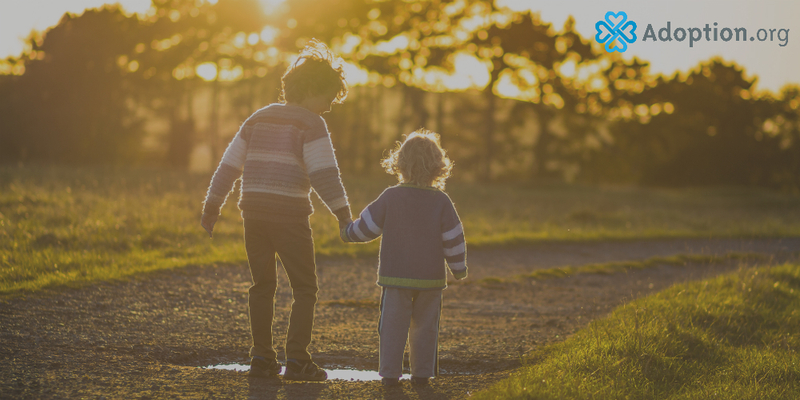 When a child adjusts his or her behavior to benefit a foster sibling, a portion of that child’s identity becomes “helper of my sibling.” Over time, the more behaviors that are slightly adjusted to help the family unit, the more all the children will fell they are part of the family. Read more about how to help your foster children. For more information on adoption, visit Adoption.com’s website.